If you are getting married in the colder months of the year, winter wedding decorations may be just what you are looking for. The winter season is quite a romantic season that also happens to be equally beautiful in terms of a visual treat. Thereby, this season lends quite an element of glamour, magic and warmth by its very nature. These winter settings coupled with wedding decorations, can make it the ultimate dream wedding come true. 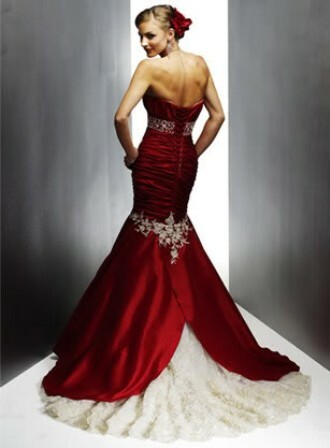 Before you consider winter wedding decorations you want to start by deciding on the winter wedding apparel. 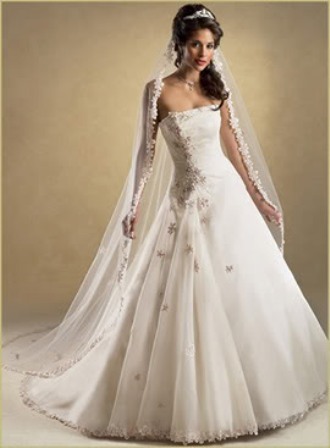 This is a great season for the bride to get all decked up in long flowing satin or silk gowns, embellished with white fur, flowers or even entire faux wraps of fur. The winter season of ice can be complemented in symbolism with diamond jewelry and accessories for the both the bride as well as the groom. Brides can use this winter wedding season to make a glamour statement with warm, decorative and heavy work wraps, capes, shawls and shrugs or even coats to create a signature style that reinforces their personality. 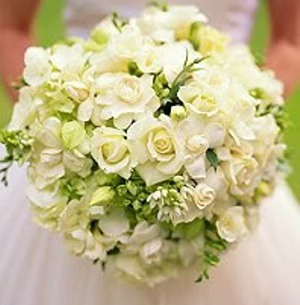 Grooms, groomsmen, as well as the brides father and other men in the wedding can opt for designer boutonnières. A fireplace is a great place to lend a cinematic element to the wedding while keeping the wedding warm, if you have fewer numbers of guests. 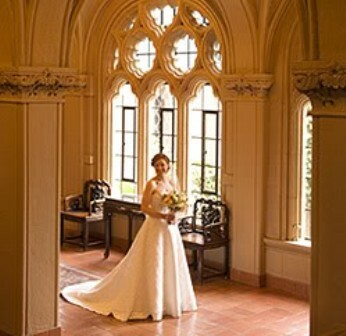 For a larger wedding, snow-laden historic monuments or buildings or mansions rented out for the event are a great way to make the wedding a memorable event for generations to come. If you are using historic locales or old churches for your wedding, make sure that you have arranged for the appropriate heater requirements, so that everyone looks in their best element on the big day. 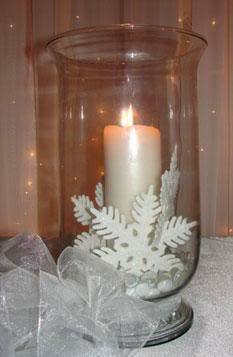 Need some ideas for winter wedding decorations? For the wedding flower decorations, you can opt for the ethereal icy look of white, silver and blue flowers, or you can opt to contrast the white winters with a riot of colorful flowers. For the white-silver-blue effect to complement the winter theme, you may wish to go for flowers of the likes of white roses , white lillies , white daisies, white carnations, white orchids, etc. These can be complemented with other silver, gray and blue flowers or they can be mixed and matched to create a contrast with red, green, purple or gold colored flowers etc. You can further enhance that dreamy winter wedding experience by decorating the area with white satin or silk or netted upholstery, table clothes, and drapes. These along with all wedding flower decorations can be further reinforced with transparent, white, blue or silver beads, crystals, vases, statues, cutlery, mats, carpets, lights, furniture covers, confetti, and candles. Dont forget to use the season to your advantage. You can make your wedding look like a winter wonderland with the use of winter wedding decorations that look like snowflakes, snowmen or icicles. 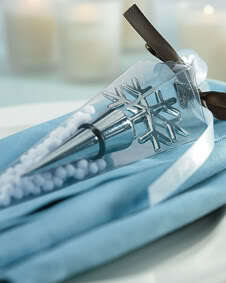 There are many different snowflake wedding favors you can choose from. Using winter themed favors will help you in two ways at once. You will be able to give your guests a nice gift for coming to your wedding and they will help you decorate the wedding reception tables. 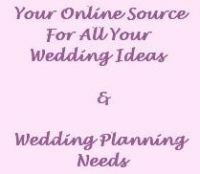 You can also use icicle lights and Christmas snowflake decorations to decorate your wedding reception.